In this step-by-step, comprehensive curriculum, your student will build his knowledge of the five core subjects. Each subject contains nine major topics and a review to guide the learning process. 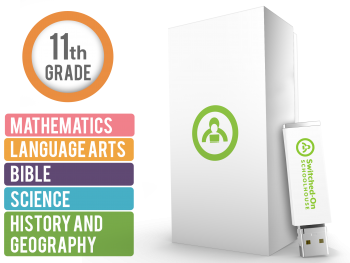 In addition, the SOS 11th Grade 5-Subject Set includes personalized progressive lessons and time-saving administration features like automatic grading. With this curriculum set, you can be assured your student will learn the essential Christ-centered material he needs to know.